After successfully raiding my mother's chest of treasured clothes (again) which she said she purposely saved for me, I believe I came up with another winning combination. 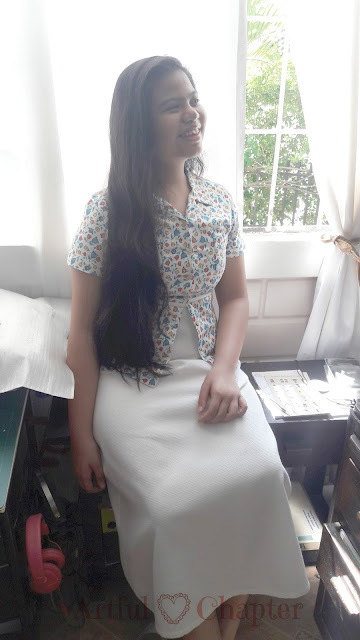 This time, with a blouse and skirt from Kamiseta. If you have read my previous posts from the Something Old Something New Series, you will end up with the conclusion like I did that my mother seriously favors this brand. With the fashion ideas I'm getting even from styles from many years ago, I can easily understand why. I actually used two old pieces from Kamiseta, a floral shirt and a white maxi skirt. 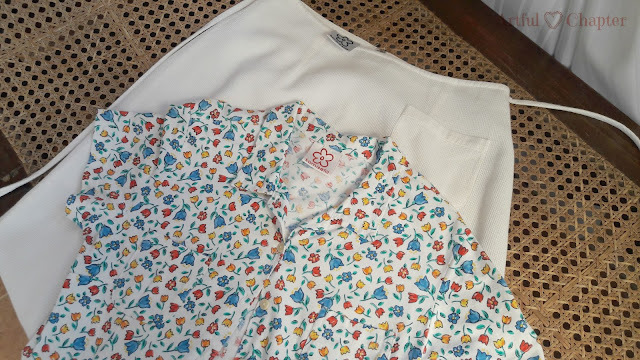 With summer making itself felt, I cannot resist this comfy cotton shirt that came with multi-colored flower prints. It has a flat collar with two small pockets. It is buttoned up in front. This A-Line maxi skirt comes with 2 side strings to tie at the back. It also has one pocket. I did not use any new clothing item this time but I did come up with something new. 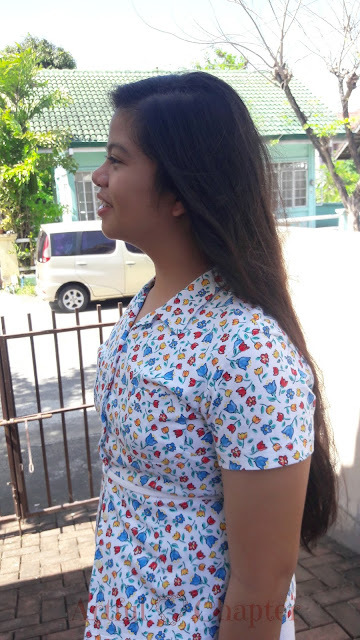 Noticed how I wore the blouse and skirt. 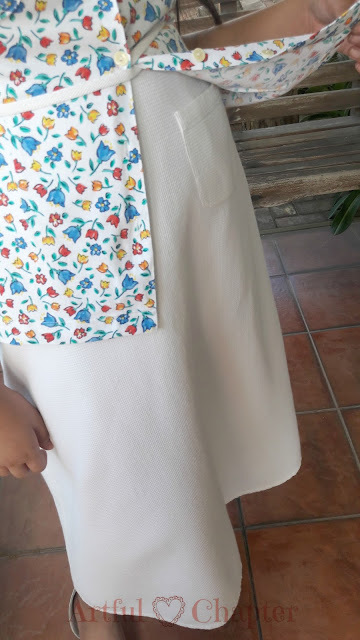 Instead of just wearing it the ordinary way which is either to put the blouse over the skirt or tucking in the shirt, I gave it a unique twist by cris-crossing the skirt strings from the front to the back. This technique gave shape and edge to the look. With clothes that still look like new, who needs new clothes? 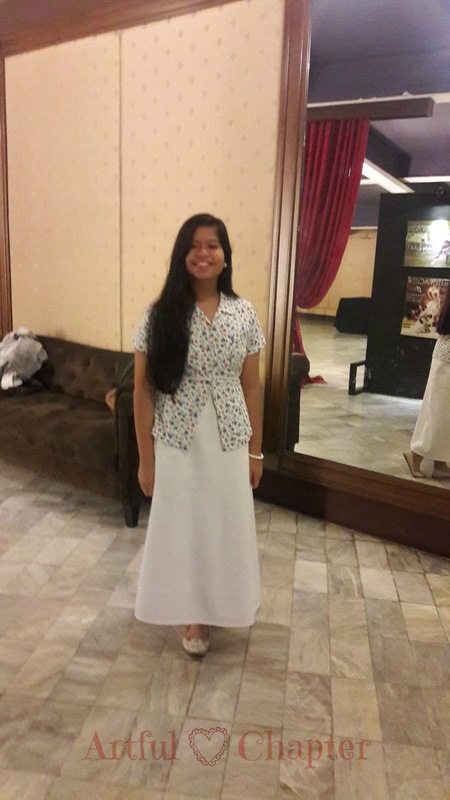 I liked the look so much that I wore it to watch the last of Ballet Manila's Revenge of the Classics feature which was Don Quixote. If I may say so, my look is as classic as the show I watched. Bravo!